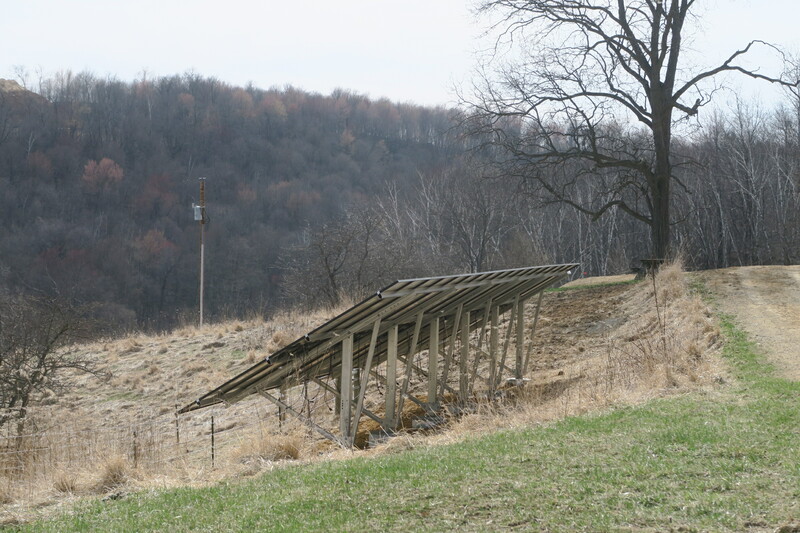 Thanks to everyone who contributed to the Solar Array (34 panels, 11.9 kW). The total cost of $33,977 is fully paid for without having to borrow. Our objective is to produce or offset 90% of our energy needs. Thanks to the grant of $6,200 from RENEW Wisconsin and incentive funds from Focus on Energy for $4,000. Liberation Park supporters generously supplied all of the rest. Thanks to Alicia, Bob, and their crew at Ethos for good work, care, and friendliness. We value all allies in contributing to a more sustainable society and lifestyle. 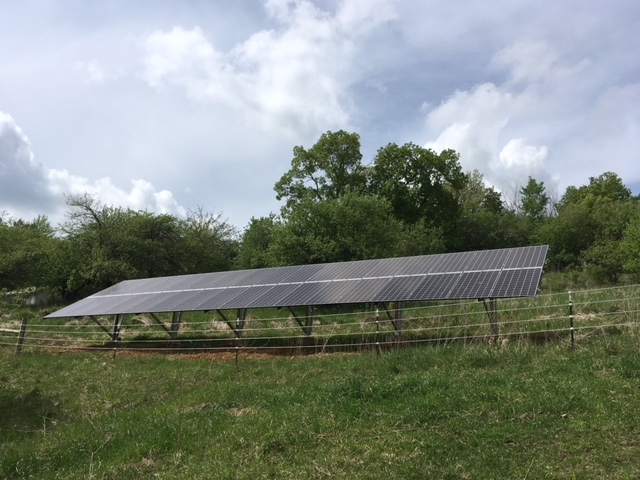 Thanks to Oakdale Electrical Co-op for promptly connecting Kevala’s solar generation to the grid and being a more accessible local partner than the big utilities. Please come have a look, as well as stay for a retreat. Cooking, showering, and laundry that you do during daylight hours will be solar powered. This entry was posted in Building, Garden, Plants, & Ecology, Guest House & Cottage. Bookmark the permalink.